An Amherst woman arrived at court with a tiny monkey in her bra causing quite a stir. When this woman showed up at the County Courthouse on Thursday in Amherst no one noticed that she had a marmoset monkey within her shirt and bra. The court didn’t even notice it until she went to fill out her paperwork. It was then that the baby monkey showed its head. 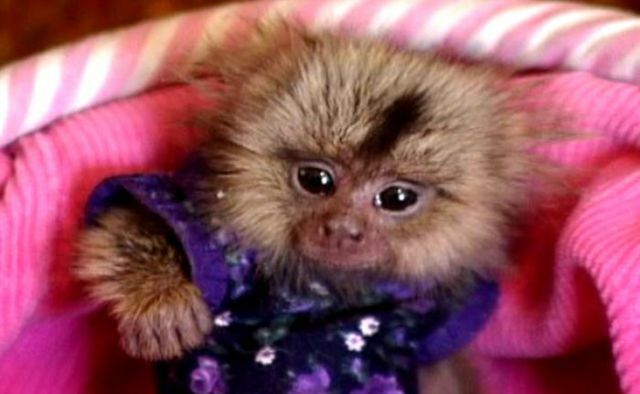 The woman explained that the marmoset monkey is just 7 weeks old and requires constant attention. 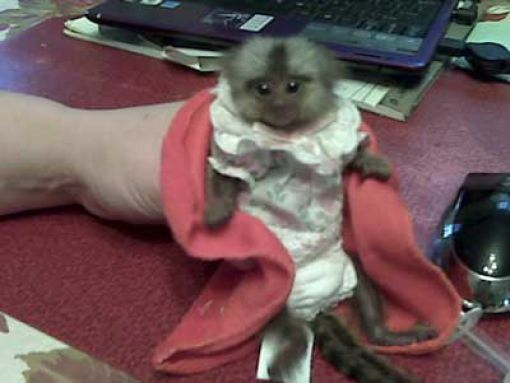 She bought the little guy off an auction site, and even had clothing made for it. 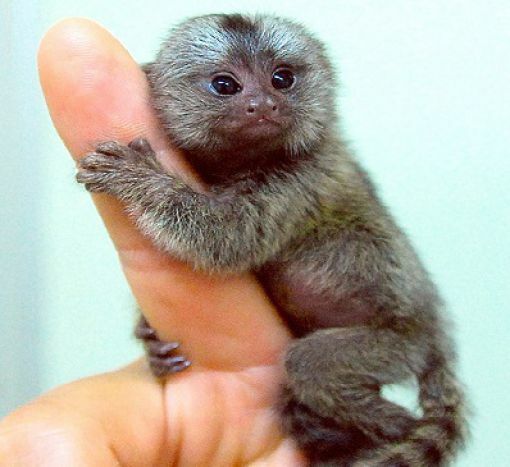 Learn Something Fun: These little guys range in size from the pygmy marmoset, which is 8 in. (20 cm) long including the tail and weighs 3 oz (85 g), to species about the size of house rats.